Want to buy a current Missouri Fishing License? If the fish are hitting really good we will extend that time at no cost. $50 deposit is required within a week of making reservations. Please Note: When fishing 4-5 Persons there will be one person waiting in a rotation mode. 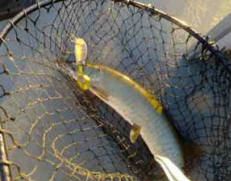 around 3-4PM and fish until dark. 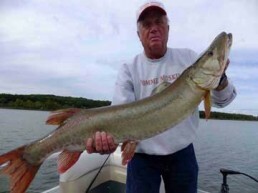 This is the prime time for muskies. from spending two days at the lake.